Hobart is fascinating because of its diversity; its rugged terrain, awe inspiring natural beauty, intriguing history, tasty cheese, tempting wines and crisp clean beer! So, I couldn’t resist planning an extended weekend break with a few friends and enjoy experiencing all the jewel’s Hobart has to offer. We arrived late on a Friday afternoon and checked into the WMSPC Seven Mile Beach resort. The property boasts wide open spaces and each of the apartments are nestled among fragrant Australian native gardens providing privacy and tranquillity. The apartments are fully equipped with a kitchen, large dining area, laundry; modern furnishing and all feature a spacious balcony or patio which is great for entertaining! Hobart is naturally pretty chilly in winter but all the bedrooms and lounge/dining area had heaters that could quickly warm up the entire apartment. If you want to make sure you are nice and toasty turn on your electric blanket before you jump into bed. There is an outdoor pool, children’s playground, games room, tennis court, BBQ area and a restaurant/bar on site. 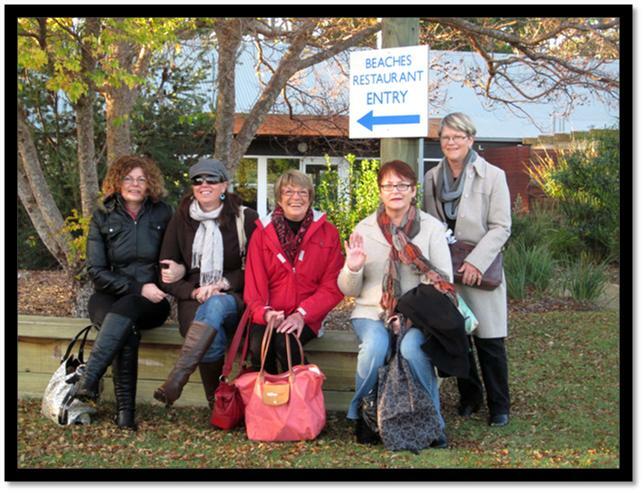 We decided to make the most of the facilities on site and opted to dine out at Beaches Restaurant for the evening. (Please note the restaurant/bar is closed Sunday and Monday nights) It was a convenient 2 minute stroll from our apartment and the menu offers a wide selection of local produce and a variety of Tasmanian beers & wines. The food was beautiful and everyone was really happy with their meal choices. The resort is situated about 30 minutes out of Hobart so, you have to hire a car for transportation or plan holiday activities in advance so you get out and explore the place, this is what we elected to do. 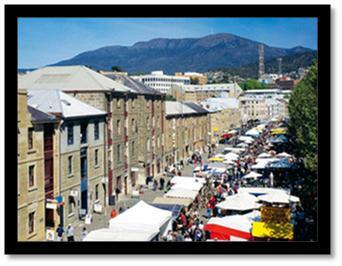 Saturday mornings in Hobart are famous for The Salamanca markets so we booked the shuttle bus services to pick us up from the resort and take us into town. This service only operates throughout the warmer seasons up until mid May so; keep this in mind when travelling in colder months. The markets offer a wide variety of local fresh produce and quality arts and crafts so expect to spend several hours and money wandering through the stalls. 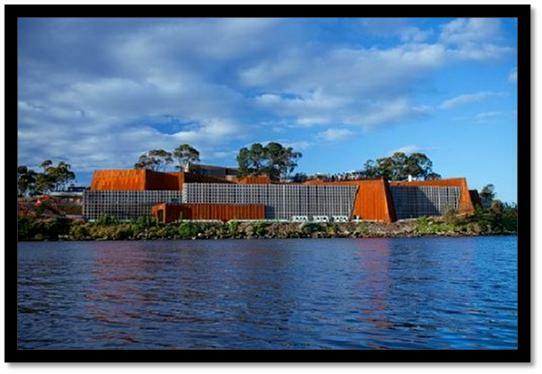 Next famous Hobart attraction is MONA, Museum of Old and New Art. We got the ferry over to the museum from the Salamanca wharf and spent the rest of Saturday walking around the gallery and the grounds that comprise MONA. The museum not only houses art but you will find cafes, a fine dining restaurant and bars on site. We ended up sampling the Moo beer that they brew onsite and the Moorilla bay wine grown onsite too! Final tourist attraction that I would recommend is a day trip to Port Arthur. We organised for Adventure tours to pick us up from the resort bright and early on Sunday morning. Our tour stopped off at the historical town of Richmond famous for its classic Georgian architecture and amazing preservation of traditional convict history. Along the way we stopped off to admire the rugged coastline and awe inspiring natural wonders. 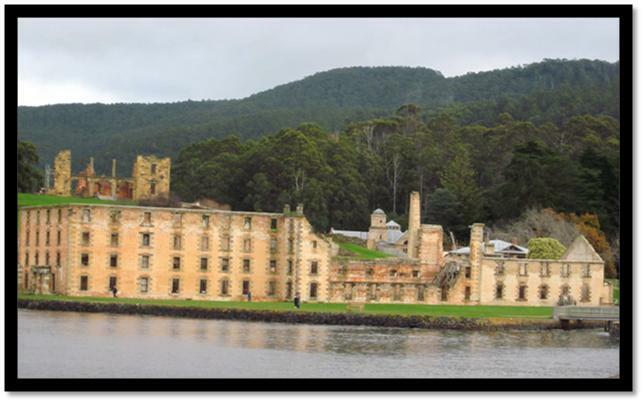 Our final destination was Port Arthur which remains a physical representation of Australia’s convict history. Have you been to Hobart? What attraction was your favourite? Thanks for a lovely review. We are heading down in a few weeks, mid June, so I am expecting it to be cold. Good heads up about booking tours, we are still trying to decide whether or not hire a car, but it sounds as if the transport is easily arranged. Found the discount vouchers too, so I plan on making good use of them as well. Hi Carol, you will love it down there, it will be cold so take a nice big jacket, gloves, scarf and a hat. The shuttle service would have finished in June for the Saturday markets, but I believe there are tours that include the markets on Saturdays, you could consider doing a tour both Saturday and Sunday or alternatively hiring a car might be the best option. Remember to buy food for Sunday & Monday nights as the restaurant is closed. Have a wonderful holiday! Thanks for sharing wonderful information. We are organizing a trip to Tasmania but I am not sure which is the best part of the year to visiting this place. Also we are still confused about our accommodation. I read somewhere that hiring a campervan will be an amazing experience. After reading and reviewing so many blogs and article I am confused in selecting the best option. I would recommend travelling in February because it is typically really nice warm weather with very little rain. Depending on how long you are travelling a campervan is a great way to get a around. I would recommend no less than 3 weeks in a campervan to really get to see the different regions. Have fun planning and have a wonderful holiday!